With the BIS Primary Spring Fair just around the corner we take a look at the community partners we'll be supporting at this year's event. 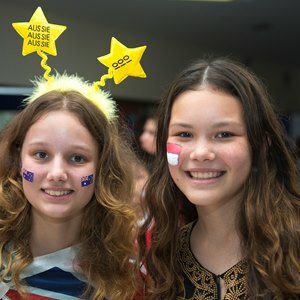 A Friends for Street Children (FFSC) charity school supporting over 150 students without access to a government education, aged from kindergarten through to Year 6. 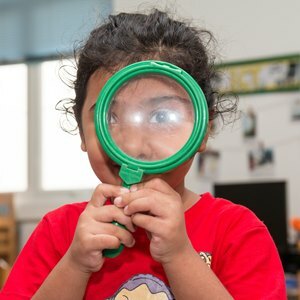 We have collaborated with the teachers and students on a number of projects over the years beginning with Club participation, including Friendship Club, English Leadership Club and Eco Club, to the EYFS kindergarten exchange as well as the Secondary Growing Minds Club. This Year Binh Tho are part of the Friendship Club, Knitting Club and the Busy Hands Club at Junior Campus. We hope that with part of the funds raised at the BIS Spring Fair we shall be able to further contribute towards upgrading school facilities and purchasing educational equipment. A school for children with hearing impairments located in Binh Thanh district who participate in a wonderful educational exchange with our Year 2 classes. The school is managed by the Catholic Church and supported by the NGO East Meets West. 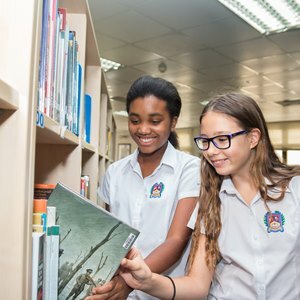 We have worked with the school for many years, having set-up a library, provided expertise and staff training and more recently with book donations and large screen TVs. Anh Minh School helped our Year 8 at Secondary learn some sign language as well. 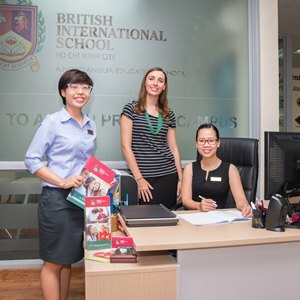 Funds raised at the BIS Spring Fair could go towards the expansion of their facility in addition to providing both English and Vietnamese books. A foster home for disabled children, this is our school's most established community service partner. 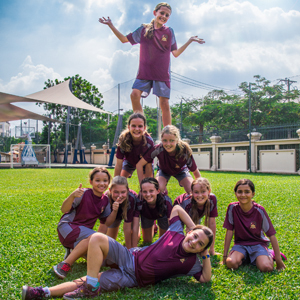 We connect with the home in many ways, through parent volunteer involvement, a Year 1 physiotherapy play date, also Year 3 play date at Junior Campus and through the joint Primary and Secondary co-curricular club entitled "Helping Hands". As a school we have enabled great change at the home by providing physiotherapy equipment for the children and an air purifier, monthly salary for a physiotherapy nurse and have supported their day-to-day consumables for the past year. With funds raised at the BIS Spring Fair this year we hope to pay for the provision of a special education teacher to support the children each week. EAST is a wildlife charity established by Monkey World in the UK. They are based in Cat Tien National Park specifically for the Rescue, Rehabilitation and Release of endangered Southern Vietnamese primates back into the wild. 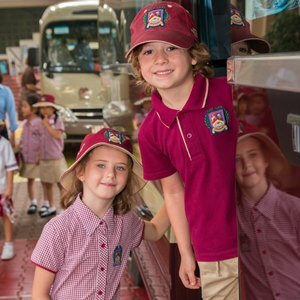 Last year they worked alongside BIS educating our students as to the plight of local and global issues of endangered animals, helping to raise awareness, encouraging responsible tourism and respecting wildlife. Funds from the Spring Fair could support the construction of a new Pygmy Loris enclosure at the rescue center which will help with research of these elusive nocturnal primates, providing a safe and natural environment at the same time. A Friends for Street Children (FFSC) charity school supporting over 120 students without access to a government education, aged from kindergarten through to Year 5. We have collaborated with the teachers and students to involve them in a number of BIS Community Clubs including, Lego Club, Origami and Paper Crafts Club and Swimming Club. This Year Binh An School was part of Community Football Club, Community Chess Club, Blue Planet, Basketball Club, and Community Chess Club at both EY&I and Junior campuses. With the funds raised at the BIS Spring Fair we will look to pay for counselling and/or a trained professional to teach life skills to their students. 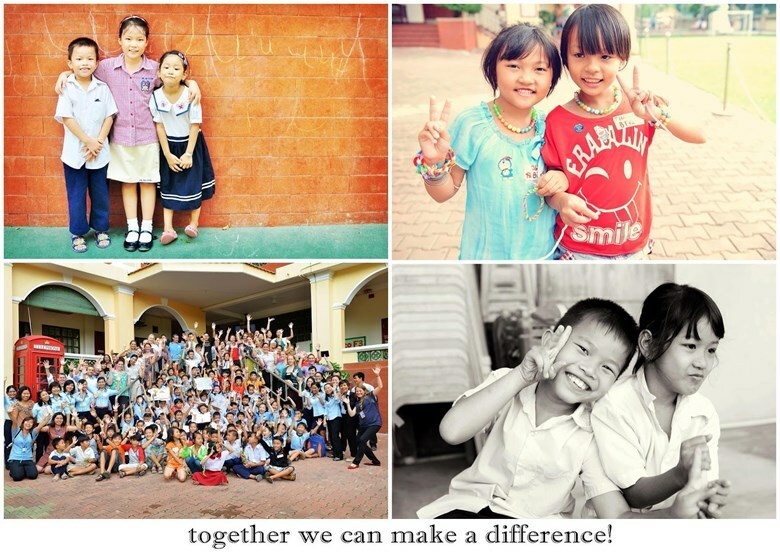 Phan Huy Ich School is a PDV run charity school supporting children who are disadvantaged by providing them with an education. We have collaborated with them via both of the Primary campuses through our year group Community Projects. This Year PDV has been the partner for the Year 5 community project teaching Math through games. The funds raised at the BIS Spring Fair will contribute towards upgrading their school facilities. Ky Quang Pagoda II is a pagoda hidden in the backstreets of Go Vap District. The pagoda provides a great deal to the surrounding community where they hold ceremonies, festivals and provide spiritual support on a daily basis. Also the pagoda works as a school for over 100 underprivileged children in the community run by retired, volunteer teachers. Additionally, the pagoda hosts an orphanage – for both disabled and able bodied children. Many of these children have been abandoned for many different reasons. Over time this orphanage has expanded and new buildings have been required. Many of the children have grown up at the pagoda and are now young adults. Ky Quang provides them with the support to find a job and integrate into society. Caregivers are a mixture of parents, nuns and monks of the pagoda, as well as community volunteers. This year Ky Quang Pagoda is the partner for F3 community project as well as its participation in Week Without Walls at Secondary Campus. The funds raised at the BIS Spring Fair will contribute towards better care for orphans in the pagoda’s orphanage. The Mai Tam House of Hope is a home and center for HIV/AIDS positive widows, mothers, and children that provides shelter, medical care, education, and referrals for its residents and the many HIV walk-ins it receives in need of support. There are 81 children from 5 months to 23 year olds and 25 mothers living at Mai Tam Shelter who are both infected and affected by HIV/AIDS. Most of Mai Tam children are orphaned. Mai Tam was established in 2005, the founders hoped to assist 100 affected women and children in community, but today Mai Tam supports more than 500 women and children in need. There is a great stigma around people who have HIV/AIDS and it is difficult for them to find work and live normal lives. Mai Tam aim to not only care for them, but to support with their education so that they can re-enter the community. 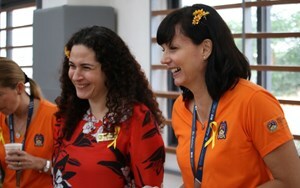 Mai Tam has been a long standing partner for BIS with exchange activities at both Primary campuses and Secondary campus. Mai Tam children are going to be part of football club at Junior Campus starting Term 2. 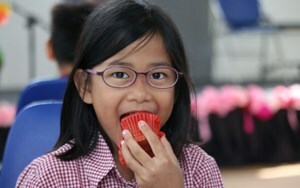 The funds raised at the BIS Spring Fair will contribute towards refurbishing new living spaces for children at Mai Tam. Mai Am Shelter is a small house hidden in the narrow of Duong Ba Trac street, District 8. The shelter for street boy children only was initiated by Terre des hommes Foundation – Lausanne in 1993. Mostly children do not have family or any legal document and they have different circumstances. The centre houses 22 boys, ages 8 up to 18, under the care of a small number of teachers. Mai Am provides house, food, life education, life skills, vocational guidance and help children to find a job and do legal paper work. The home gives them grounding, a home, teaches them love and respect and allows them to live an independent life. They have helped over 200 children. 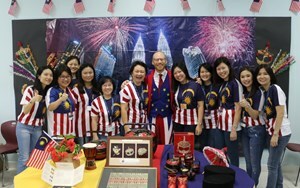 Mai Am has been a long standing partner for BIS with exchange activities at both Primary campuses and Secondary campus. Mai Am children are going to be part of T'ai Chi club at Junior campus starting Term 2. The funds raised at the BIS Spring Fair will contribute towards better care for boys in the shelter orphanage. If you're interested in joining the Spring Fair and helping to support our community partners, entrance tickets and raffle tickets will be available shortly from all three campuses! The Secondary PTG update you on all the events for March and what you can expect over the next few months.